Millions of people suffer brain injuries each year, now we can give some back their sight. The CDC estimates that in 2010 alone, 2.5 million emergency room visits or deaths were associated with traumatic brain injury in the United States. This type of injury can cause severe damage to a patient’s vision, and even lead to blindness. Now though, researchers have discovered that sight can be restored in people who’ve suffered from a traumatic brain injury. Even more, they were able to restore perfect vision in patients who were legally blind prior to their injury. A small study conducted by researchers at Washington University School of Medicine in St. Louis, the Kresge Eye Institute at Wayne State University in Detroit, and the L.V. Prasad Eye Institute in India was published in the journal Ophthalmology. The research included 20 patients who had surgery for Terson syndrome, a specific type of hemorrhage caused mostly by traumatic injury, such as vehicular collisions. Some of the patients experienced this hemorrhaging in both eyes, thus allowing for the study of 28 eyes. The procedure used to restore sight in these patients is known as a vitrectomy. The surgery removes the jellylike tissue behind the lens of the eye and replaces it with a saline solution. The patients were split into groups who had the surgery within three months of the hemorrhage and those who received it after the three month mark. Just one month after the surgery, patients’ vision improved to an average of 20/40 from an average of 20/1290. Within a few months, almost all patients had 20/20 vision (normal visual acuity). Researchers noted how the length of time between the injury and the surgery did not factor into how well the patient’s sight was improved. 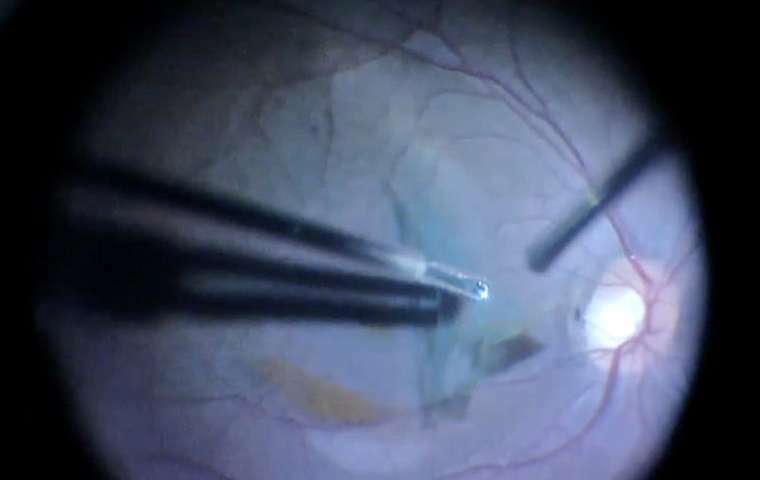 This is an important development since there are often other factors more closely linked with a patient’s imminent death that must be stabilized prior to any surgery to restore sight can take place. As Rajendra S. Apte, MD, PhD, the Paul A. Cibis Distinguished Professor of Ophthalmology and Visual Sciences at Washington University School of Medicine stated “It was important to learn how long we could wait to operate without having a negative effect on vision.” This could have a huge impact on those staggering statistics, offering hope to millions of people each year.